I’ve made 40 trips to Italy and during those visits, I’ve been able to meet so many wonderful people throughout that beautiful country. For me, this is the best way to learn about the wines of a particular region or country; head there and meet with the people who grew the grapes or harvested them or made the wine in the cellar. Pairing the wines with local foods has been icing on the cake. I wouldn’t trade these journeys for anything in the world. However, there are still some great wines from Italy I’m managed to miss while I’ve been over there. You just can’t be everywhere, so there are some famous bottlings I’ve never had, as a particular producer didn’t participate in a wine fair or tasting and I didn’t get the time to visit him or her. When that happens, I’ve had to taste them at events in this country. It’s not Italy, but the opportunity to try these wines is too good to pass up. Recently, I had the good fortune to catch up on some great Italian wines I wasn’t that familiar with when I attended the Domaine Select Grand Tasting, held at The Four Seasons Restaurant in New York City. This was the 10th anniversary of the company, founded by Paolo Domeneghetti and his wife Allison. Together with a committed team, thay have assembled an outstanding portfolio of artisan Italian estates (they also represent some great producers from Germany, Austria, France, Chile, Argentina and a few other countries). Here are just a few of the Italian producers they represent: Massolino, Fontanafredda, Villa Sparina, Il Palazzone, COS, Le Macchiole and J. Hofstatter. If that wasn’t enough, they also have some true gems that I think are among the best wine estates in the world. 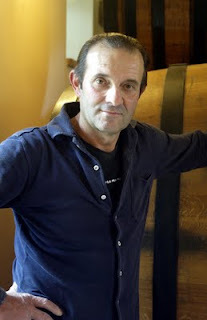 Foremost among these is Soldera, the great Brunello estate operated by Gianfranco Soldera, who labels his Brunello di Montalcino as Case Basse. Soldera is committed to traditional winemaking, in the sense that he ferments and ages his wine in large wooden casks – no small oak here. Yet, he also ages his wines for various periods of time, usually surpassing the minimum time frame necessary in Montalcino. 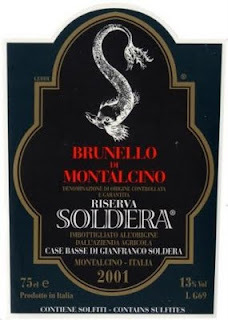 Thus while the current release of Brunello from almost every Brunello producer is the 2004, the newest release from Soldera is the 2002 Riserva. I sampled that wine at the event along with the 2001 and was truly amazed at these wines. Both offer great varietal purity; these wines are all about red cherry fruit with light cedar and spice notes – no toasty vanilla notes in these bottlings! Soldera’s 2002 is clearly the finest Brunello I’ve tasted from that rather dull vintage, while the 2001 Riserva is a spectacular wine, with great concentration of fruit and textbook structure. All of those producers that think they need to wow consumers with flashy wines need to taste these bottlings. Why go for the instant gratification of super ripe fruit and big oak when you can make a wine in this fashion? Thanks to Gianfranco Soldera for making these wines and thank to Domaine Select for tasting them out. I also tried one exceptional white wine I’ve never had before and it was quite rare; the 2005 Vitoska from Vodopivec aged in amphora. 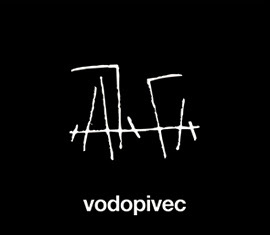 Vodopivec specializes in this rare variety, grown in the Carso district of the Friuli region. This zone is located in the far southeastern reaches of Friuli between the Adriatic Sea and the border with Slovenia. This is natural winemaking at its most intense, as the grapes are kept in contact with the skins for six months in amphora pots buried underground. Afterwards the wine is then aged in large casks for two years; the final result is magnificent. This is a richly textured white with an explosion of pear and melon fruit on the palate and a rich, lengthy finish with bracing acidity. It’s quite a statement and it’s a testament to the philosophy of brothers Paolo and Valter Vodopivec and of course, the growing area of Carso. In closing, thank you to the vintners who made these special wines and thank you to Paolo and Alison Domeneghetti for arranging this wonderful day and congratulations on ten successful years! No matter how many distinguished, expensive wines I get to try in my travels (as well as not-so-distinguished, expensive wines), I always look forward to tasting moderately-priced wines from any number of countries. Quite often, I select wines like these for my my dinners, as these wines play up to food rather than overpower it. To me, that’s what winemaking is all about – making offerings that are about balance and not power. 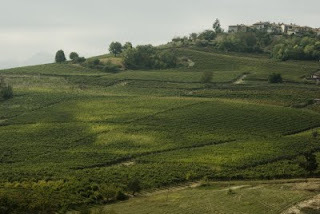 Some countires offer more great values than others; much of this has to do with the image of the country or wine region. It’s difficult to find value wines from Napa Valley these days, but go to Monterey, and you’ll discover many more reasonably priced wines. The question in not quality, rather it’s with the perception of quality. Napa has been praised for decades as one of the world’s greatest wine regions, but it hasn’t been that way for Monterey, despite the first-class wines crafted in that region. For several reasons – for which we can be thankful - Chile has remained a haven for value-oriented wines. There are some incredible red wines (and even a few whites now) that are world-class, but the media tends not to focus on these wines as much as their counterparts from California or France. Thus Chile is viewed as a country that produces some very nice wines at moderate prices. While this is an incomplete picture, at least it’s a positive situation for consmuers. All of this leads me to some of the most attractive, value-oriented wines from Chile I’ve had in some time. Terra Andina is a producer with a variety of white and red wines, most of which are priced at $12.99 retail (these are from the Reserva line) and it’s hard to go wrong with any of them. What’s nice is unlike some labels where each red wine tastes pretty much the same, with Terra Andina, the wines have very good varietal character, so the Carmenere isn't a carbon copy of the Cabernet Sauvignon. 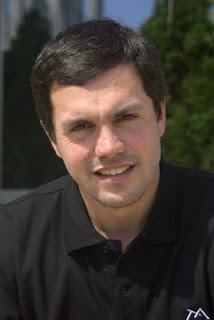 The winemaker is Oscar Salas (pictured left, Photo ©Tom Hyland), who has done an admirable job with these wines, as each is balanced with good ripeness and character with minimal winemaking intervention. Salas has the advantage of sourcing grapes from some of Chile’s finest viticultural regions. Thus the Sauvignon Blanc hails from the cool Leyda Valley, less than 10 miles from the Pacific Ocean, while the Cabernet Sauvignon comes from the famed Maipo Valley, home to many of the country’s finest examples of that grape, while the Carmenere is from the Rapel Valley. For me, the two best wines in the lineup are the Carmenere and the Cabernet Sauvignon. Vintners in many parts of Chile have been trying to craft better bottlings of Carmenere over the past few years and are succeeding, as they are finding warmer sites to highlight the grape’s fruit and limit its green tannins and sharp acidity. The 2007 Terra Andina has deep color (a beautiful bright purple hue) and attractive aromas of black plum with notes of pepper and clove that emerge from a well-made example of Carmenere. This has plenty of fruit for the price and sports a flavorful, nicely balanced finish. This can be enjoyed now or over the next 2-3 years and will pair well with foods ranging from roast chicken to duck to sirloin. This is something you shouldn’t miss! The 2007 Cabernet Sauvignon has pure black currant aromas and flavors and elegant tannins, so this is a well-rounded wine that is a natural with food. There is plenty of character throughout and the wine has an elegant finish with gentle tannins. Enjoy this now or over the next year or two with just about any red meat. Also recommended is the 2007 Altos, a blend of Carmenere and Carignan. The latter grape has flavors of raspberry and red currant that are a nice contrast to the black fruit of the Carmenere and has very good acidity, which gives the wine a nice balance. Slightly spicy, this will accompany game or vegetable dishes such as eggplant extremely well. This is priced higher than the other Terra Andina wines but even at $18.99, this is a relative bargain. Congratulations to Oscar Salas and his Terra Andina team for crafting such flavorful delicious wines at sensible prices that the everyday consumer will want to enjoy! Enough about the mess in Montalcino, let’s turn our attention to a positive subject for Italian wines at the moment – the release of the new Barolos from the 2005 vintage. You should realize that you will be subjected to a number of reviews in the coming months about the 2005 Barolos stating that these wines are not like the 2004s, which were outstanding. This is true, but unfortunate, as 2004 was a brilliant vintage for Barolo and brilliant just doesn’t come along every year – in fact, it doesn’t come along but once or twice a decade, if that much. So remember that, please. So let’s be fair with the 2005 Barolos; this was a successful vintage and there are some excellent wines and even a handful of outstanding ones. The best offerings are medium-full with very good to excellent concentration, offer very good acidity and refined tannins. This is not a powerhouse vintage and the wines are not as complex in aromatics as the 2004s, but overall, these are very well made wines. The finest Barolos from 2005 will age for 15-20 years and while that is not as long as a great year such as 2004, 2001, 1999 or 1996, that is still impressive. I tasted over 100 different Barolos from the 2005 vintage this past May in the city of Alba at the annual Alba Wines Exhibition. The wines were tasted blind, and as usual with this practice, I found many pleasant surprises along with a few disappointments. This is always an excellent tasting and my thanks to the hard-working staff of wellcom for their organization. There were a few outstanding wines including the Bartolo Mascarello, Prunotto, the “Brunate” from Francesco Rinaldi and the “Gabutti” from Giovanni Sordo. The Prunotto was beautifully styled and is one of the best bottlings I’ve had from this producer in some time, while the Mascarello and Rinaldi are classic bottlings, made in a traditional style (aged only in large casks). These wines offer a lovely combination of spice, fruit and gentle tannins and are textbook representations of terroir. Barolo to me is all about terroir; the roundness and floral aromatics of the wines from La Morra standing next to the structure and firm tannins of the wines from Monforte or Serralunga, so I prize this distinctiveness far more than power or ripeness. As for the wine from Sordo, I’ve always liked the offerings from this small estate in Serralunga, but this cru bottling is as good as I’ve tasted; it’s a lovely wine with beautiful complexity. Other excellent Barolos from 2005 include the Sergio Barale “Cannubi”; the “Brunate” from Oddero; Marcarini “Brunate”; Michele Chiarlo “Cerequio”; Fontanafredda “La Rosa"; the Massolino "Margheria"; the "Ravera" from Elvio Cogno; the Prapò bottling of Ceretto and the Famiglia Anselma bottling. There are several more bottlings I’ve rated as excellent; you’ll be able to read about these wines in the upcoming Fall issue of my Guide to Italian Wines. This will include reviews not only reviews of the 2005 Barolos, but also the excellent 2006 Barbarescos (tasted in Alba the same week as the Barolos) as well a few dozen new releases of wines from Campania. To learn about subscribing to my Guide to Italian Wines, click here.